months. For me the products I’m getting ready to suggest I have used independently, I have found that using them as a set has much more of an impact. 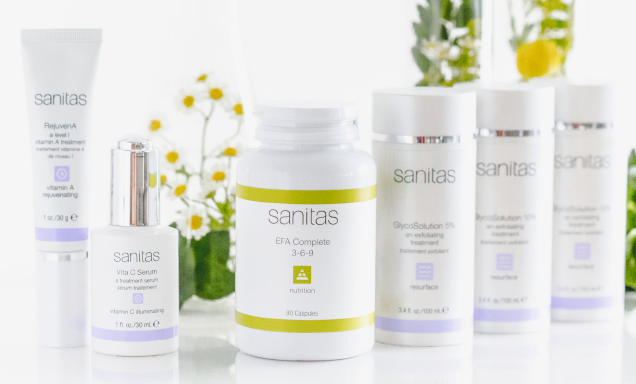 Sanitas Skincare GlycoSolution 5% is a glycolic toner. It is a very active toner, you’ll feel the tingle. Now we know that this is an exfoliating toner but what it’s actually doing is breaking apart the extracellular matrix, the glue that holds your cells together. Glycolic acid will break apart that matrix but will also signal to your skin to build collagen and elastin while stimulating your natural moisture factors. Now that the matrix of your skin is open it’s time to feed your skin with Vitamin A. Before we get into that let me explain what Retinol (Vitamin A derivative) is doing to your skin. Retinol regulating the turnover of your skin. As we age the desquamation of our skin slows down, thats what creates fine lines, wrinkles, sagging skin. Retinol used on a regular bases will keep the skin regenerating itself like clockwork. Vitamin A is the only vitamin shown to actually build collagen and elastin. 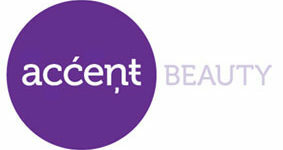 It also lifts out hyper-pigmentation. Ok, now that the matrix of your skin is open let’s feed your skin with Vitamin A.
Sanitas Skincare Rejuven-A is a 1% retinol, designed to encourage the skin to regenerate itself, reducing fine lines and hyper-pigmentation. Used this way over time your skin will be smoother and softer with much less hyper pigmentation. Finish the nutrition to your skin with Sanitas Skincare Vita C Serum. This is my favorite serum. It is a 25% lipophilic Vitamin C. I’ll tell you what that means. Most forms of Vitamin C in skin care is a water soluble form which means it doesn’t penetrate the skin. Sanitas Vita C Serum is they’re own patented form of Vitamin C, C-LipoTM, a powerful form of Vitamin C to help stimulate collagen and moisture factor production, accelerate healing and provide antioxidant protection from free radicals and photo damage. Please just use you GlycoSolution and you Rejuven-A no more than every other night, you always want your skin to recover and grow. They way you know you’re using too much exfoliants in your skin starts to dry out and feel irratated and it could bring breakouts.